Recently we read about modular homes being constructed alongside traditionally built houses at a site in the UK, allowing potential buyers to compare the quality of both methods. The gist of the article was that for the first time, consumers will be able to experience and critique different methods of building – giving them more design options and price points when choosing a method that suits their needs. In particular, the large scale site would allow the next generation of builders, trainees and apprentices to be exposed to a combination of methods, developing new ways of working together. 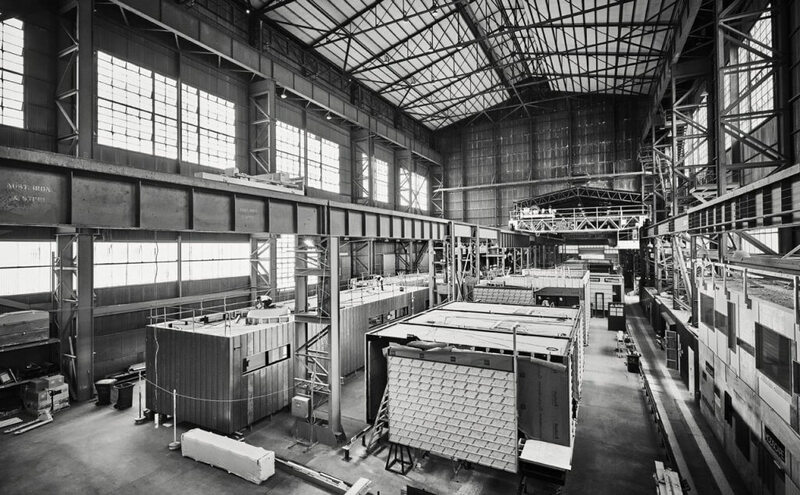 With modular prefabrication now achieving outstanding results in design and cost effectiveness, such research can surely only work in the prefab industry’s favour. Certainly, the consumer research coming out of this project will be required reading for any developers planning new estates. 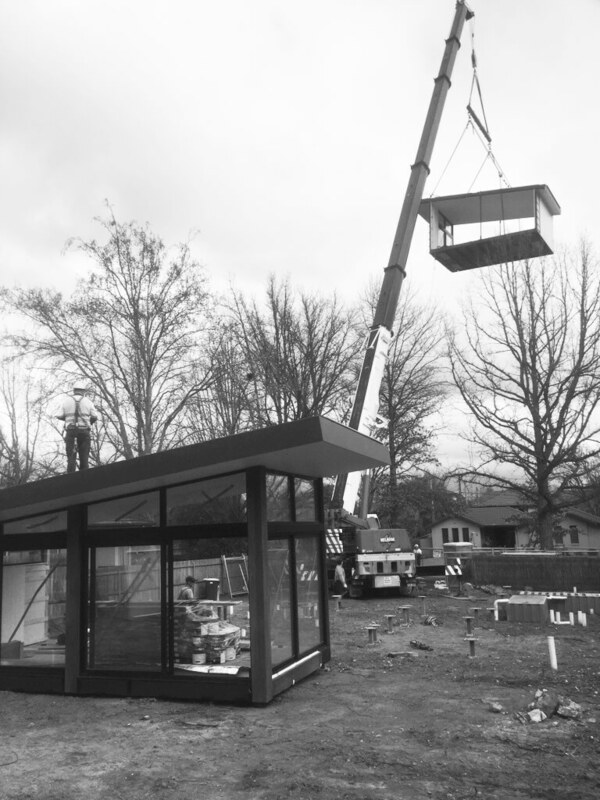 In essence, all modular builds are a form of prefab construction. Prefab or prefabricated is an umbrella term for off-site construction that refers to building a structure in a factory before it is assembled and installed onsite. Modular construction is just one category of prefabricated construction. Both construction methods begin in the same way, with site analysis, design development and attaining the necessary council approvals. Once you reach the construction stage of the cycle the differences between the two construction methods (and the benefits of modular design) emerge. A traditional build method will see your project constructed from the ground up, all on site. With a modular build, the construction of your modular project commences and takes place entirely indoors – in Modscape’s case this is in our prefab hub in Brooklyn. The factory environment that our modules are constructed in ensures that a rigorous level of quality control is achieved, building waste and emissions are reduced and the need to down tools in bad weather avoided. Our modular design team is also located next door to the factory so can be “on site” at any time to oversee progress and quickly resolve any issues. 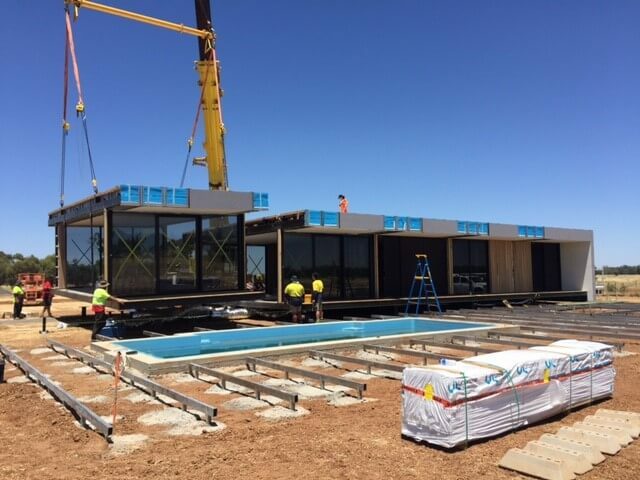 You’ll receive weekly updates from our team and you’re more than welcome to visit our factory at any stage to see how your new prefab home is progressing. With a traditional approach, the builder will start work literally from below the ground and then move their way up. The site will be prepared, slab formed, frames and roof trusses set up, brickwork completed, windows and exterior doors installed before moving on to internal fixtures and fittings. Each individual step in the traditional build process needs to be completed before the project can move on to the next phase. Utilising a modular method of building, the construction sequence is condensed thanks to site and construction works being able to occur simultaneously. Starting with structural steel frames, construction and fit out of your prefab home is all completed in our factory – from the floor and cabinetry to the taps and toilet roll holder. 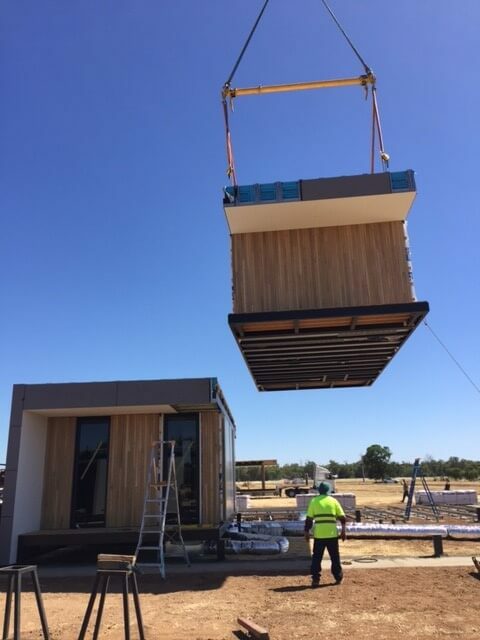 A few weeks before your modular house is set to be delivered, we visit your block to install screw piles and set up your utility services (water, power, sewerage) so that they can be connected in time for your move. Installation of the modules usually takes 1 day, and a further 7–10 days is generally required for site works. Timing for a traditional build varies depending on the complexity of the build, the availability of the builder and weather conditions. However, you can generally expect around a 9 to 18 month time frame from the receipt of permits before you can consider moving in. In contrast, Modscape’s modular homes, for example, are all built and installed within 12 weeks of receipt of the required building permit. The combination of modularisation and prefabrication create a degree of automation that cannot be achieved on-site. The risk of weather and site delays is eliminated, allowing for a fixed timeline for design, construction and delivery. As a result, the time it takes to build your project is set from commencement to completion. Fixed price contracts are the most common form of domestic building agreement for traditional builds. Under these contracts, the builder agrees to complete the build for a fixed sum. However they will also include a number of provisional sums for items that cannot be determined at the time of signing. These are then charged as variations to the contract. The ability to avoid the high costs of renting while the renovation or build is happening. To find out more about modular construction and its many benefits, feel free to contact us to arrange a tour of our display suite and factory.